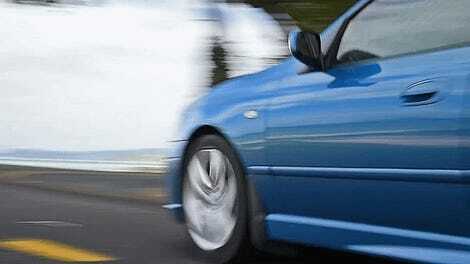 What do you do with a 2001 Mitsubishi Galant that’s no longer road-legal? Hoon it off-road, of course. The “paddock car” (or “paddock basher,” as some called it in the comments) is what New Zealand calls its go-for farm vehicles. When this Galant needed a new cam belt, the cost of replacing it meant it got relegated to farm use. If it goes, it goes. Who cares, right? Extra car. You’ve got to appreciate the New Zealanders’ safety-third attitude as well. “I notice I’m the only one wearing a seatbelt and you’ve got your foot right on the airbag,” said Mr. 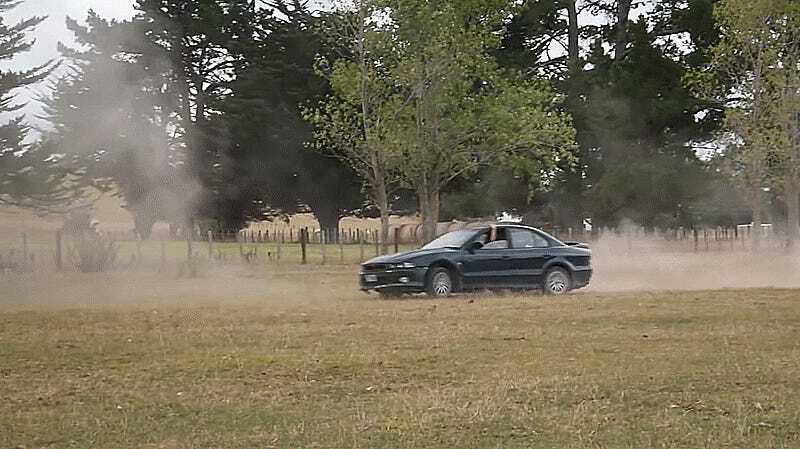 Regular, of Regular Car Reviews, who got to take the lovely paddock car out for a rip. “It’s eventually going to be a competition as to who can actually break it,” said Juliet, who was also there to hoon the mighty V6 Galant. I now understand why Mr. Regular didn’t want to leave those lovely islands. There’s space for a bonfire and everything out on the farm he’s tearing through in a Mitsubishi, in addition to the Falcons, Crowns and Micras we don’t get. Want some beautiful JDM unobtanium, like the Evo IX wagon? You can have it, and take it out to do donuts on the farm. Want to rip around in a car you care absolutely nothing about instead, such that you suggest using it for target practice afterwards? Meet this 2001 Galant. It’s the paradise we all deserve, if I’m honest.